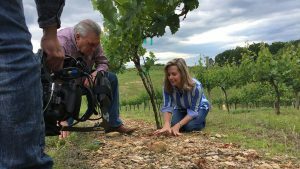 Nestled in the Yadkin Valley area of North Carolina lays a delightfully Southern vineyard and winery, located on farmland that has been nurtured by the Myers family for 10 generations. 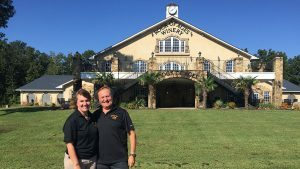 With the dream of preserving the family farm for future generations, Benny and Kim Myers planted their first grapes over 13 years ago and converted the old milking parlor into a tasting room. 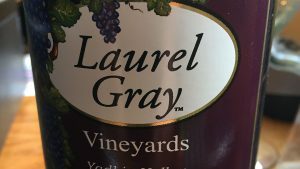 Named for the Myers’ two children, Ashley Laurel and Taylor Gray, Laurel Gray Vineyards’ award-winning wines are sold exclusively in the tasting room and on our website. We would love for you to become part of the Laurel Gray family. Baker Buffalo Creek Vineyard is located in Fallston, NC. The vineyard is planted in the fertile soil of the rolling hills in Cleveland County. 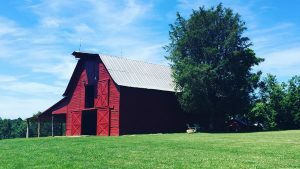 The vineyard takes its name from the Buffalo Creek that slowly winds through the property and the Baker family name that represents over 100 years of family ownership of this beautiful farmland. The first grapes were planted in 2003 after the proprietors were inspired by their first visit to the vineyards in Napa and Sonoma counties. The success of that initial harvest combined with the optimal North Carolina growing conditions led to the planting of nine additional acres. The vineyard supplies eight different grape varietals including red muscadine, chardonnay, scuppernong, cabernet sauvignon, merlot, cabernet franc, Riesling, and traminette. Kevin Moore grew-up on the farm where Rock Of Ages Winery & Vineyard now sits. With an Economics degree from N. C. State University, Moore worked as a stockbroker, but later got into the import business. He then opened Hard Rock Marble & Tile in Hillsborough, NC, which he operated with his wife, Kim. But a dream of producing wine led Moore to begin planting grapes. He obtained a degree from Surry Community College in Enology and Viticulture. Moore began construction on the winery in November 2005. He served as general contractor and laborer. In addition to all his other duties, he is the facility’s winemaker.